Grab some essentials. 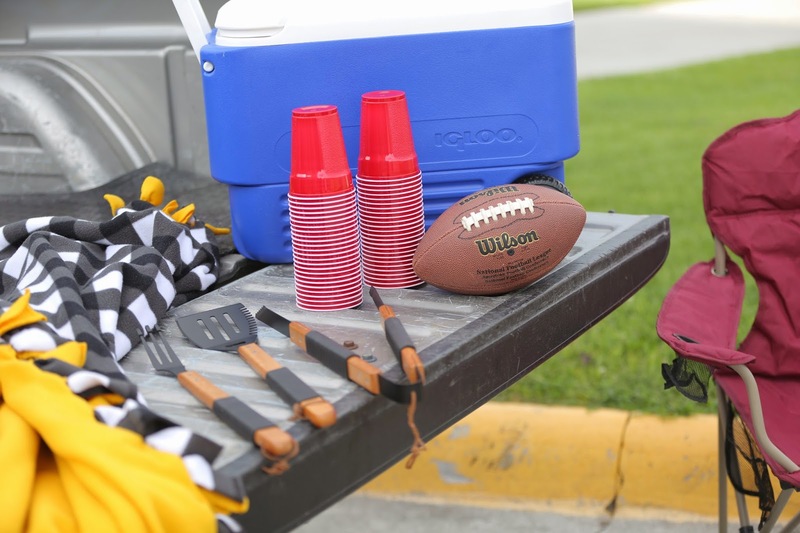 Red solos, grill gear, cooler, blankets, chairs, and tailgating games are must-haves. Anyone can bring them, but the important thing is how you use them. Learn how to pack a cooler. Chilled drinks on bottom. Layer of ice. Food products. Another layer of ice. Put a few frozen bottles of water on top. They’ll keep things cold, and when you’re ready, they’ll melt into refreshing liquids. Pack toppings for your hot dogs and hamburgers – cheese, relish, jalapenos, sauces, etc. The trick is to get organized. Your presentation says a lot about you in the tailgating world. The grill. It’s where the men are separated from the boys. Take a few practice runs. 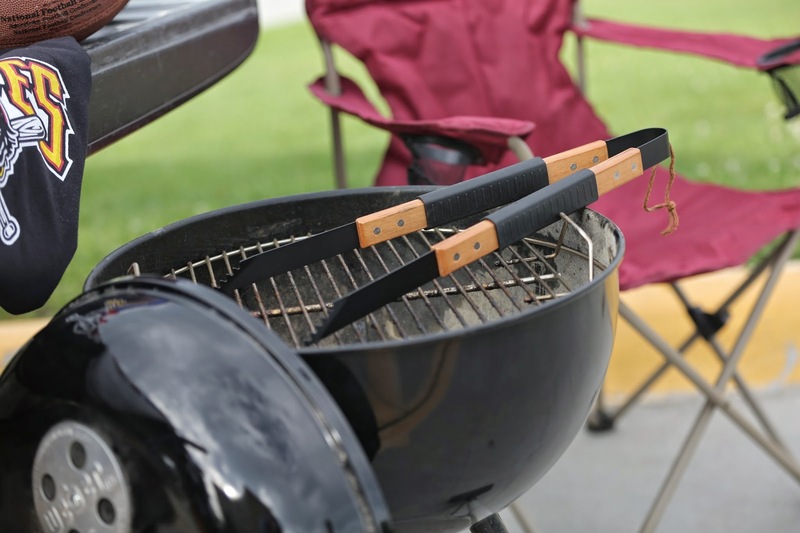 Have the guys over for a grill-out to test your skills. Find your rhythm, nail down your favorite spices, and feel confident holding the tongs. Everyone respects the man behind the grill. One bite at a time, it’s an opportunity to impress without bragging. Let the food speak for itself. Take care of you. You’ll want shoes that make standing all day bearable. And don’t forget a hat and sunglasses – especially if you’re not quite on the level of having a portable tent. Blankets are also underrated. Toward the end of the season, it starts to feel a little more like winter and a lot less like fall. Speaking of weather, roll up a rain jacket, stocking hat, and gloves for unexpected episodes from mother nature. Oh yeah, don’t forget the most important part – team tees. You’ll want a few to rotate through. 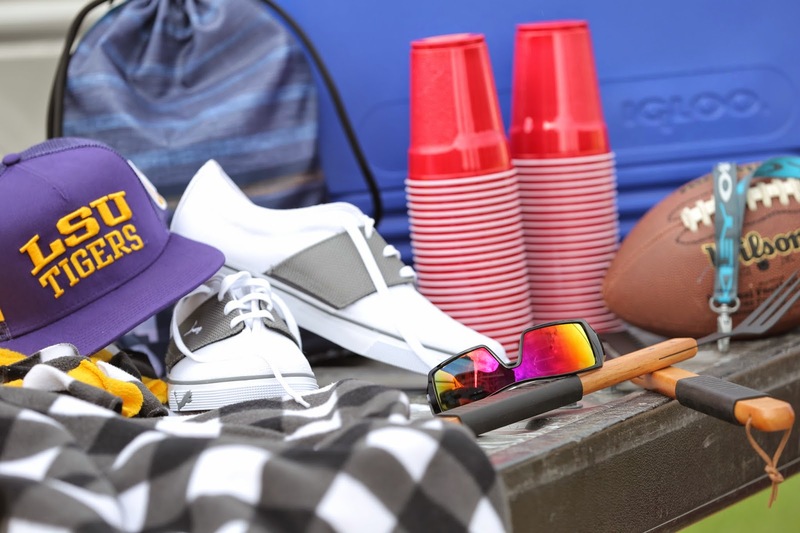 Just remember, preparation is the key to unlocking your tailgating potential. All it takes is some solid planning, creative thinking, and clothes for the occasion. Now, get out there and let the pregame celebration begin. 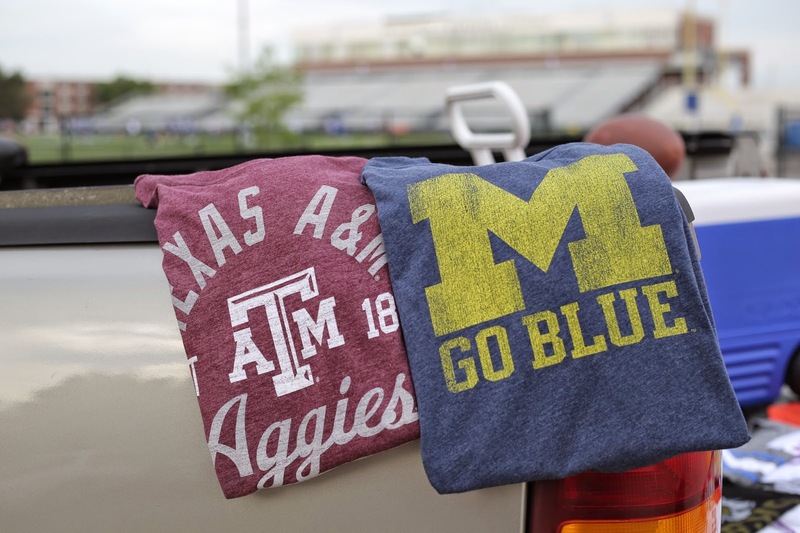 And while you’re at it, let us know your favorite tailgating tips by commenting below.